Attention college students and parents: October 1st is the first day you can file your Free Application for Federal Student Aid, or FAFSA, for the school year 2018-2019. It’s required to access federal student aid, including work/study programs, grants and scholarships. Since most of this money is given out on a first come-first served basis, you’ll want to file the FAFSA without delay. –Get prepared now. You can now go online to FAFSA.gov and register to get your user name and password so there are no filling delays. Students and parents must get separate IDs, and each must have a different email address. The FAFSA form automatically retrieves your most recent tax return data. –Prepare to list schools on your FAFSA. You should list each school to which you might plan to apply. Here’s a hint: If you are applying to state schools, put their names at the top of your list. 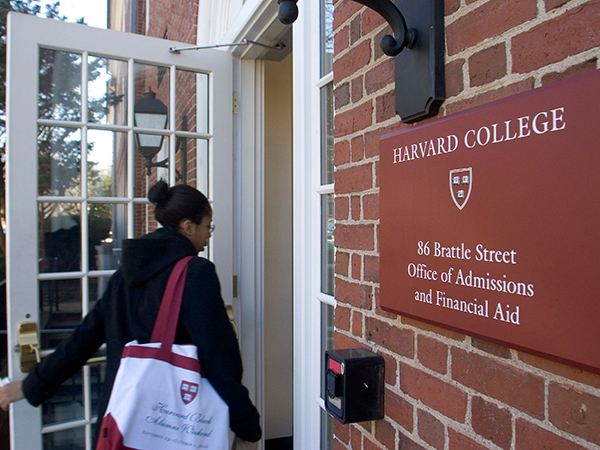 Many state schools have limited financial aid or early deadlines, and they start passing it out early. Showing that you consider them a priority might result in more financial aid. –Understand what income and assets must be disclosed on FAFSA. The family home and the value of retirement accounts and life insurance are NOT considered in the FAFSA process. But all money in cash, savings and checking accounts must be disclosed, as well as all investments in real estate (other than the family home) as well as other assets such as custodial accounts must be included, along with all income. –Beware of scams. NEVER pay anyone to help you file the FAFSA. There is no charge, ever, for filing the FAFSA form. –Filing these forms can be a challenge for children of divorced parents. Frequently, one parent refuses to get involved in the disclosure process. But information about both divorced parents is required only if they are still living together. Otherwise, you only need the income and asset information about the custodial parent, or the one who provided the most financial support in the past 12 months. This can get a bit tricky if the custodial parent is remarried, forcing the disclosure of the financial information of the step-parent with whom the child lives. Don’t let domestic concerns delay filing, though. –Not all income and assets are considered equally in calculating eligibility for financial aid. Assets owned by the student or in custodial accounts (NOT including 529 plans with the parents as custodian) weigh far more heavily against the family in aid calculations. You might want to re-purpose student assets before filing for aid. 529 plans with grandparents as custodian are NOT considered in the financial aid formula until money is distributed from them and used to pay college expenses. At that point, the money that has been distributed in the past year is considered a student asset, weighing heavily against aid for the current year. Lesson: Don’t distribute grandparent-owned 529 plans until the very last year of college, when you won’t be filing for financial aid in the next year! –Look beyond federal aid. Check for free money at Scholarships.com and FastWeb.com. Applying early is a real advantage, and some have prerequisites that you can start working on now. As a last resort, your family might have to consider private student loans. Sallie Mae spokesperson Rick Castellano reminds families that private loans are available. However, unlike Federal loans, they do require a credit check, and typically students require a parental co-signer. Paying for college has turned into High Finance 101! Help is available from your high school guidance office and the excellent FAQ section at www.FAFSA .ed.gov. Don’t procrastinate in filing. That could be the most expensive lesson of all.